Equipment out ready for Holland! 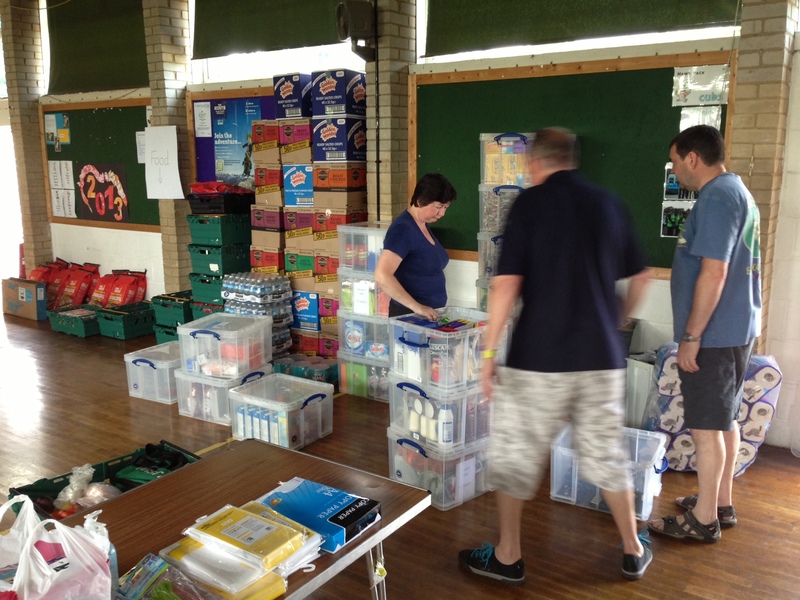 Today the Holland leadership team got out all the equipment, ready to load into the vans on Wednesday evening… not long to go now! 11th – 12th May saw almost 100 of the 115 Scouts, Explorers, Network and adults who will be spending 10 days together in Holland this Summer, camping together at Lees Wood to get to know one another. During Saturday everyone had a chance to pioneer a gateway to their sub-camp, put up a bivouac, check their safety with an axe and saw, prepare wood and cook on an open fire. Later in the day groups spent some time working with Dutch maps to plan the overnight expedition they will be going on when we’re in the Netherlands. On Sunday morning all the youngsters prepared their packed lunches (a production line meant 100 lunches were made in under 30 minutes!) before heading out on a local hike to test their navigation and teamwork skills and returning to strike the site. Hemel Scouts Frantic Fundraising Folly! There is always a lot going on in Hemel Hempstead Scouts and Saturday 16th March was no exception. Two simultaneous events raised £2000 for much needed funds. 1st Apsley Scout Group’s ‘Raise the Roof Appeal’ Race Night attracted over 100 guests and raised over £550 for their appeal. Everyone from small children to grandparents came along to cheer on their horses and support their Scout Group. Believed to be the largest uniformed youth group in Hertfordshire, Apsley has 300 young people that they need to keep dry and warm. 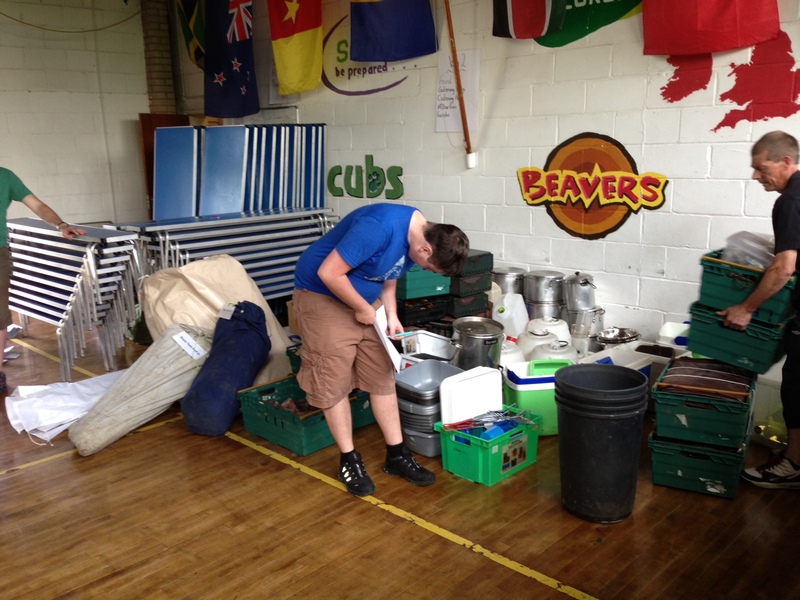 The Scout Hut roof is dilapidated and needs to be replaced this summer. 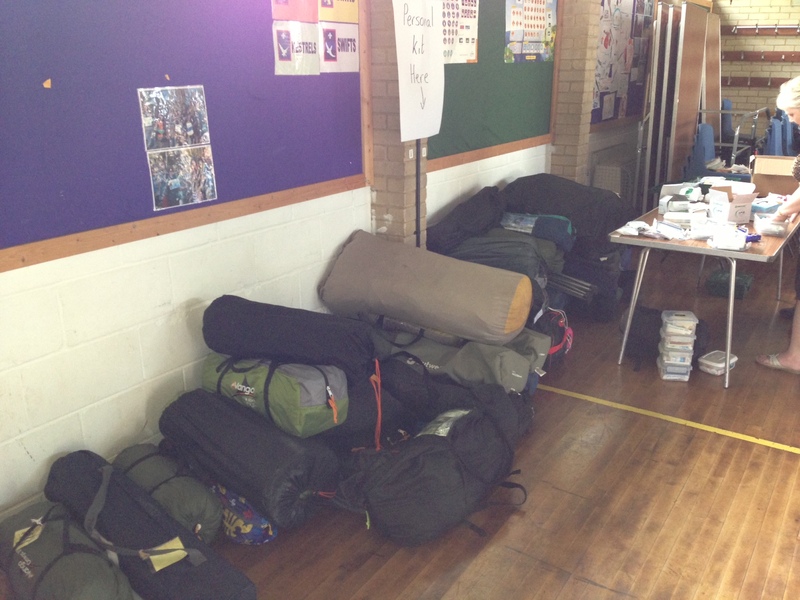 Across town in Hobbs Hill Wood School, Scouts were raising money for this summer’s District Expedition to Holland. 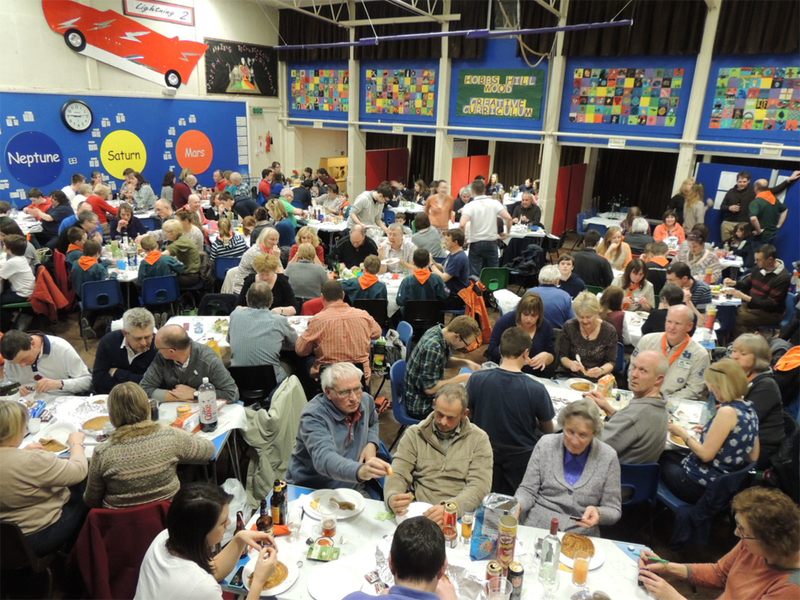 Scouting families from across Hemel Hempstead gathered to take part in what is possibly the largest Scouting Quiz Night ever seen in our town! 270 people aged from just 3 months to 85+ were split across two rooms (Holland and England) and with the help of modern technology and two quizmasters the teams competed for the highest overall score and the best in the room. With the specific aim of trying to keep the attention of all age groups, rounds consisted of Children’s TV shows from the 60s to the noughties, tasting and identifying food and drink, and a real mix of other questions. Raffle prizes were donated by families and friends, along with a trip in a hot air balloon from Wilsons Estate Agents of Bovingdon, and 2 rucksacks from our friends at The Complete Outdoors. The evening raised the massive sum of £1500, which will be used to reduce costs for our trip to the Netherlands in August. Hemel Hempstead Scouts would like to thank all those who contributed to these two fantastic events. Our Expedition begins on the morning of 1st August with us all meeting locally to board our coaches that will take us to Holland. We will travel by coach, taking the Dover/Calais ferry and then driving through France, Belgium and into Holland. There will be stops along the way for snacks and services. We hope to arrive during the afternoon at our campsite at Buitenzorg near Amsterdam where we will set up our tents and equipment. Two ‘Big Activity’ days with activities that may include water skiing, wakeboarding, surfing, a canoe expedition, high ropes course and cycling. Two cultural days, one in Amsterdam which may include a trip on the ‘Pancake Boat’ visits to museums such as the Van Gogh or Anne Frank museums, a science centre, a meal in a local restaurant and trips on Amsterdam’s tram and boat network. The other day will be in Rotterdam with a chance to go on the ‘Splash Tour’ and visit the Euro Tower as well as experience the restaurants and cafes. A two day expedition staying out overnight in tents or bivouacs and travelling on foot or by bike. Our Expedition comes to an end on 10th August when we pack up and return to the UK. All is not over as we will be stopping off in Brugge in Belgium to sample the culture and particularly the delicious Belgian chocolate! Monthly installments of £50 starting with a deposit by 26th October and then by the end of each month until 30th June. To help with the cost of the Expedition Hemel Hempstead District Scouts have already subsidised the activity by up to £4,000 to make it accessible to as many of our young people and adults as possible. To help further with the costs of the Expedition we will be running some fundraising events where the money raised is deducted from the fees of those who support the fundraising event. 11th – 12th May 2013 a training camp on 11/12 May. We will also hold a final briefing for participants and parents just before we depart.